Inspiring, witty and thought-provoking, this is the full text of Jeanette Winterston’s acclaimed Richard Dimbleby Lecture exploring women’s rights a century on from the Suffragette movement. 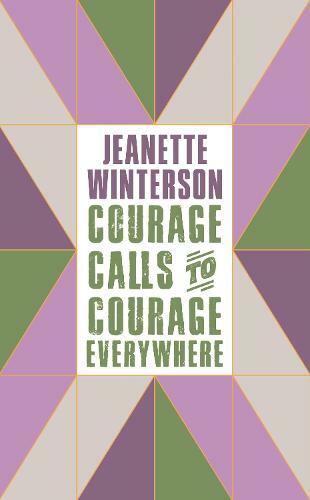 Whilst recognising how far women have come in the hundred years since getting the vote, Jeanette Winterson also insists that we must all do much more if we are to achieve true gender equality. Examining recent women's rights movements, the worlds of politics, technology and social media and changes in the law, Winterson calls out all the ways in which women still face discrimination and disadvantage. Like the women who won the right to vote, we need to shout up, reach out, be courageous and finish the job. Also included in this volume is Emmeline Pankhurst's landmark Suffragette speech, 'Freedom or Death', which she delivered in 1913. Jeanette Winterson OBE is a British writer, broadcaster and activist. Her first novel, Oranges Are Not the Only Fruit was published in 1985 to international acclaim. Winterson's subsequent novels, including Sexing the Cherry, Written On the Body and The Stone Gods, explore the boundaries of physicality and metaphysicality, sexual identities and gender polarities.